Happiness is a virtue and more importantly a feeling that every human being would wish to experience in all of their lifetimes. I raised the topic about happiness because this concept defines a person’s well-being. A sense of joy as well conforms to the lifestyle aspects whereby it releases the “feel good hormone” essential for a healthy living. Its attainment takes time, and the recipient hoping to achieve this virtue needs to master the art of calmness and patience to realize their objectives. The story of Siddhartha is one that has many life lessons to an individual in a different part of the world. The moral implication of his tales shows how a man in contention with himself can drive down a path in which he seeks to find his inner self in an attempt to find absolute happiness. In truth, every person on earth is on a personal journey. Everybody on earth conducts the daily activity purposely to fulfill happiness. Thus, work well-done translates to happiness. In this type of journey, an individual learns different things all the same. Markedly, some seek contentment, whereas others look out for worldly material and wealth. Essentially, every man’s journey ought to bring him closer to finding himself and attaining inner peace. In Hesse’s novel, an individual’s experiences mark his personal enlightenment. As such, from a young age, the author depicts the protagonist as a young individual full of zeal, hope and the aspiration to be ambitious. The protagonist begins his Journey in finding happiness when he together with his friend relinquishes all of their earthly belongings and seeks the teachings of an enlightened soul in order to find redemption in their hearts. Research suggests that true happiness cannot come from another individual, but rather from a person’s inner accord. Besides, the source of happiness for an individual stems from the belief that one need to find joy in nature’s refinement. A such, it is understandable, why the protagonist feels incapacitated to aligning himself with the teaching of the Buddha, who by all means had gone through a personal journey that resulted in him being able to preach to the large multitudes that found him wise and his teachings to be very charismatic. By rejecting to be part of the Buddha’s crusade, the protagonist sets himself upon a path in which he gets to be able to think holistically about decisions he makes and thus can bear the brand on his own without having to apportion blame to anyone else. The most important step of his journey to happiness begins with his decision, not to follow the Buddha as compared to Govinda who hurriedly converts into a strong follower of the religious figure. The protagonist shows that the best way to approach the comprehension of reality and attaining enlightenment concurrently lay in walking alone with the alone. It mitigated an individual to cut all ties with all of their relations. Likewise, attaining such enlightenment does not require pragmatic intellectual methodologies, but rather the ability of any individual to the full seek that which they wanted to experience and learn and profit from their outcomes of their passion. The meeting with the ferryman opens up the main character to new possibilities that the world had to offer. His first step of finding happiness is seen through the man being kind enough and allowing him to go across his ferry without having to pay any dues. The ability of this man to be able to trust him to someday come back and pay his dues strongly indicates to him that indeed the universe looked at the best interest of each. Upon crossing, he meets up with his second challenge. The challenge, in this case, is the encounter with the future wife in the making. Kamala being a courtesan had the higher expectation. She remarks that in order to be the wife of the protagonist, he must be able to prove himself worthy by amassing wealth. On the contrary, Siddhartha realizes that he did need wealth to be happy and thereby please the woman he wanted. The irony of this is that having given up all worldly possession, his quest for happiness begun by having him to amass wealth to be able to enjoy the simple pleasures of life. Gaining wealth for him seemed like a mean to an end at that point of time. Nonetheless, be marrying deep down he realized that it was not what he had hoped for to kamala. As a result, he opted to go to the river to commit suicide. At this point of time, he seemed to have lost all hope and zeal of living a luxurious life. Studies indicate that most people having been at the pinnacle of power are likely to commit suicide. Siddhartha proves this theorem right. He resolves to haste to the riverside where previously met the ferryman, and at the point of jumping into the river, he is saved from self-destruction by divine intervention. The experience here marks his third stage in his journey for happiness. The protagonist comes to the realization that death does not hold the answer to human suffering. It was merely a pathway to the afterlife, and divine power would not allow an individual who had not fulfilled his purpose to exist this life to the next realm of existence. Notably, the revelation by the divine powers along the river proves to the protagonist that suffering, loss of hope and utter desperation are nothing short of lesson every soul on earth learns just before learning the secrets of happiness. By escaping death and meeting, his longtime friend who was more devoted to Buddhism more than ever before. The protagonist decides to live a spiritual life in pursuit of happiness. The part of his journey takes down the road to spiritual enlightenment as he spends more and more time down by the riverside in the company of the ferryman. Consequently, it dawns on him that the river is a source of revelation, in which upon contemplation and developing a meditative culture, he found answers to the meaning of life in the manner that was beyond his comprehension. His meeting with Kamala, his former wife, serves as another step towards him attaining happiness. Even before they get acquainted, a venomous bites her. The aftermath of which sees her succumb to her death. While their reunion was short lived, her sudden demise conjured deep emotion that anchored in his heart. Nevertheless, the thought of having a son with the deceased seemed to enlighten his mood. The events preceding the death of the protagonist’s former wife are a clear indication that the path to attaining happiness is indeed full of ups and down. To aggravate the matter further still, their child, the product of their marriage turns out to be rude much to his surprise. His old friend reminds him of their youthful days, and when the boy runs away, Siddhartha ignores him. The action typifies his realization that by giving the child the freedom he needed, he was capable of identifying his mistakes and mend them in his accord and pursuit of happiness. The attributes are also similar to what his father had once done a youthful minor. The lesson he learns teaches him that the attainment of happiness needed patience as a prerequisite. For if he had not been patient with himself, it would have been hard for him to let his child be nor heed the advice of his dear friend. The final part of his journey sees him reunite with his old friend Govinda. Govinda travels to meet the famous religious figure by the spiritual river. Together they can share some nice time alone in which the protagonist shares his infinite wisdom. The climax of the moment comes about by the two friends contemplating and meditating on the meaning of life. Siddhartha enlightens his old friend about the nature of the universe. The journey of happiness for these two friends comes to a good ending as they both seek the one thing that they had wanted all from a young age. The journey of Siddhartha is one which any human being can relate with, more importantly, it encompasses the trials of faith that mortal have to triumph over to self-actualize. An analysis of the life of Siddhartha shows that happiness is as a result of sacrificing that which an individual holds dear to their heart. Besides, real happiness emanates from patience and contentment with a passionate task. In the Novel, the main character loses all that he holds dearly to him, material possession, a beautiful wife, a child and even nearly kills himself. 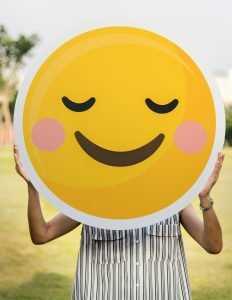 Markedly, these challenges play a significant role in educating the public that happiness in life can be as a result of searching within for answers just as Siddhartha proved in his quest for happiness through the events of his life. As a result, the pursuit of happiness is limitless, and the attainment of the intended goal adds to increased happiness. Moreover, the source of happiness may involve undergoing tribulations and sacrifice. One may be tempted to quit for the pursuit of happiness. At the same time, one loss all under their possession in a bid to enjoy happiness.